Now that Summer is officially over, it is the perfect time to start correcting sundamage as well as start laser hair removal treatments. At Summit Plastic Surgery & MedSpa, serving the Kansas City area, we have some great specials for the month of October to help you see the results you're looking for. Contact our office today for a complimentary consultation, with our licensed esthetician, Keri Eichhorn. Sundamage can be tricky to treat and sometimes multiple treatments/procedures may be needed. By incorporating prescription bleaching products such as hydroquinone as well as Retinol products into your everyday routine, you will see more dramatic as well as faster results from the treatments best for your skin. ViPeel with Precision Plus, is a great option for treating stubborn hyperpigmentation. 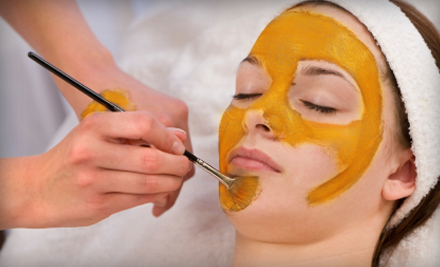 Multiple peels will give the best results, however, there is a great change with one. The peel is pain free with easy peeling and little discomfort during the peeling process. IPL photofacials are great to treat sunspots and freckles and also focuses on red veins on the face. Sometimes doing a combination of both of these treatments will give the best results. This month only we are offering 10% off of ViPeels with Precision Plus as well as all full face IPL Photofacials. All Vi products, including prescription strength hydroquinone will be offered at a 10% discount at the time of the treatments, to ensure the best results possible. Large areas treated with laser hair removal need to be treated have to be done every 6-8 weeks as well as have limited to no sun exposure during the treatment process, so now is the perfect time to start treating the legs or back to be hair free by next summer. We are offering a great deal off 10% off of the already discounted package of 4 treatments for the back or legs. With our new hair removal laser these large areas can be treated in as little as 10 minutes, for limited interruption in your schedule and is a very low pain treatment. If you are ready for clear skin and no hair or both, contact our office today to take advantage of these great specials.